Amaro NPR coverage of Amaro: The Spirited World of Bittersweet, Herbal Liqueurs, with Cocktails, Recipes, and Formulas by Brad Thomas Parsons and Ed Anderson. News, author interviews, critics' picks and more. 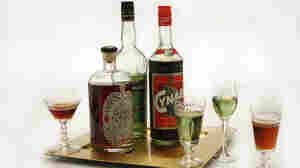 The award-winning author of Bitters takes readers on an exhilarating tour of the Italian countryside where he opens their eyes to the rich history and vibrant culture of amaro today, shows how contemporary mixologists are incorporating it into a delicious and eclectic array of cocktails and provides more than 100 recipes for using amaro in food and drink. 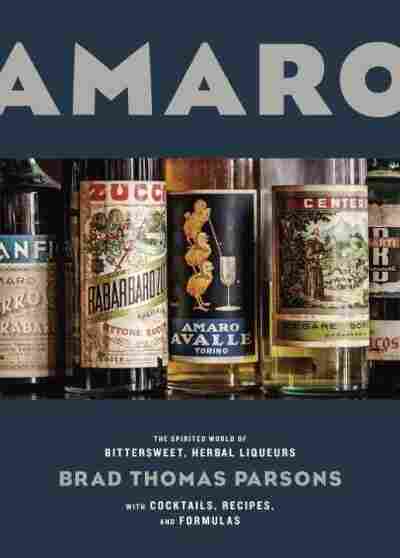 November 25, 2016  Amaro is considered "grandpa's drink" and a digestive aid in its native Italy, but not stateside, where this centuries-old, bittersweet liqueur has become popular on cocktail menus. Milan's venerable Bar Basso opened in 1947, and in 1967, Mirko Stocchetto, a bartender from Venice, took over the bar and started adding cocktails to the menu to compete with the city's larger hotels and cafés. His son Maurizio Stocchetto now runs Bar Basso and you'll still find a menu of "Classic Cocktails from the Old School" behind the bar, including the White Russian, brandy Alexander, Grasshopper, and Gibson, but the Italian cocktail made famous at Basso is the Negroni Sbagliato. Sbagliato means "messed up" or "bungled" in Italian, and as the younger Stocchetto tells it, one night in the late 1960s or early 1970s a bartender had accidentally swapped the gin with a bottle of spumante. When his father was making a customer's Negroni he reached for the spot on the bar where the gin was always kept but instead added the dry sparkling wine to the mix of Campari and vermouth. "The customer said, 'Let's try it.' And he didn't complain." When I asked Stocchetto how many Negroni Sbagliatos he served each day, he just sighed and said "too many." They normally serve it in a comically large hand-blown stemmed glass, the kind of fishbowl-sized vessel you're more likely to encounter at a bachelorette party spilling out onto Bourbon Street, but when I ordered one he insisted on making mine in the standard rocks glass. He reminisced about hanging out at the bar as a boy, but he really lit up telling me about his time living in San Francisco in his twenties. His love of the Beats, jazz, and the NHL play-offs remains strong, but he's particularly entertained by the American fast-food advertisements shown during his beloved hockey games. Taking a pause from serving a customer a supersized Sbagliato, he looked at me and smiled in wonder, "At Subway, they'll put guacamole on anything you want!" Build the Campari, vermouth, and Prosecco in an old-fashioned glass filled with ice. Stir and garnish with the orange slice or orange zest.